On Tuesday the 28th and Wednesday the 29th of July, Priceline are holding their 40% off skincare sale both instore and online. In the last two years, Priceline have really invested a lot into expanding their skincare brands. They've been able to bring some fantastic brands like Nuxe, Sanctuary, Antipodes and more to the masses. I have to admit there aren't many great cleansing oils available at Priceline, but one that I adore and have repurchased many times before is the Dr LeWinn's 4 Fusion Cleansing Oil. It's a great, affordable option for those that are looking at a heavy duty cleanser that removes all traces of make up. I've previously reviewed it here before. 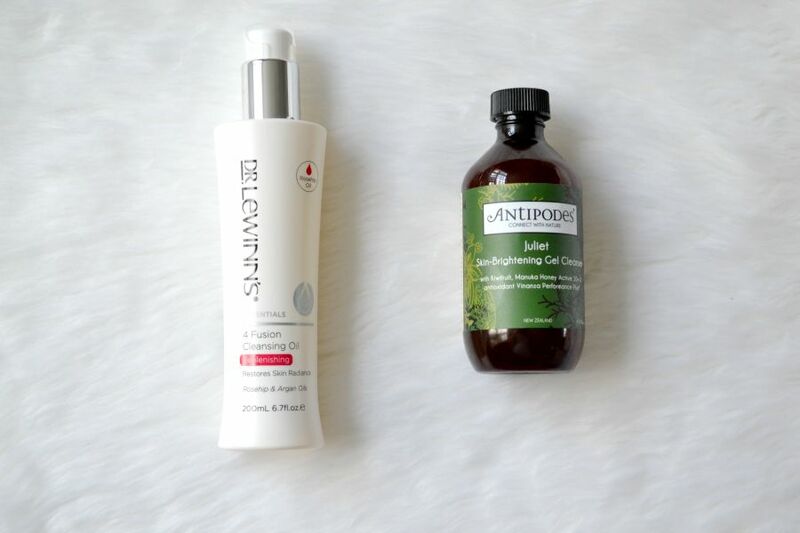 My holy grail cleanser is the Antipodes Juliet Skin Brightening Gel Cleanser. It's a fantastic cleanser that feels soft and gentle on my skin. Antipodes is on the higher end of "drugstore" prices so it's worth picking up when it's on sale. I never skip using a toner and prefer to use a mist as I find them so refreshing. 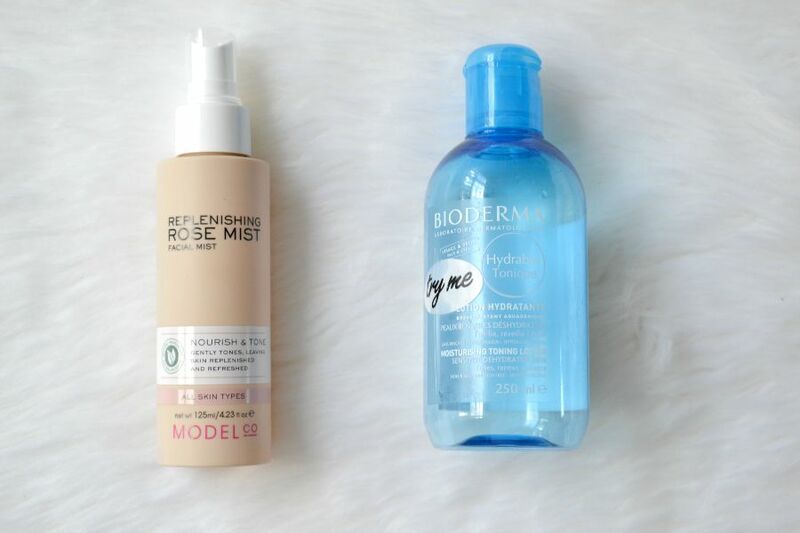 My all time favourite toner is the ModelCo Replenishing Rose Mist Facial Mist. I'm currently on my 4th or 5th bottle and really adore using this. Another wonderful one is the People For Plants Rose Otto, Burdock, Green Tea Mist Toner. If you're more into a liquid toner, then the Bioderma Hydrabio Tonique Moisturising Toning Lotion* is a beautiful option. It helps to moisturise and calm my skin after cleansing. I'm not currently using a Priceline serum (i'm currently using a La Mav serum) but have purchased many serums from Priceline previously. Olay and L'Oreal have great affordable serums as well as Antipodes and Sanctuary. I'm a huge fan of the L'Oreal Skin Perfection Serum. It's a good all rounder and I've purchased 3 of them as it's a great serum to pick up when I've run out of a serum and don't have a new one to trial! I like to have a day time and a night time moisturiser as I find that my skin likes a lighter more matte moisturiser in the day. This way it doesn't feel heavy underneath my make up and sunscreen. I really like the Nuxe Anti-Fatigue Moisturizing Cream for Normal To Combination Skin. It feels a little bit thick as you're rubbing it in, but once it's rubbed in that heaviness completely disappears. 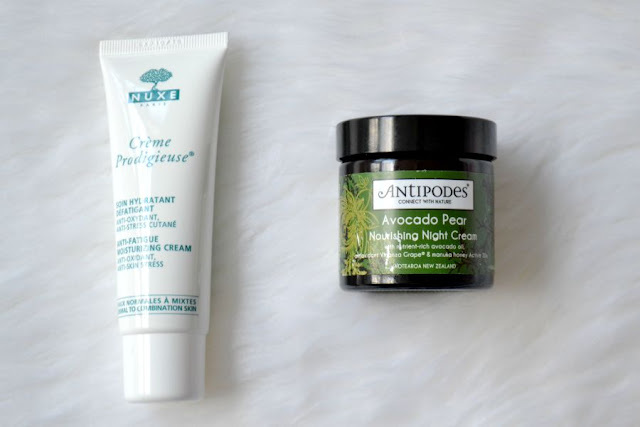 For night, I like to use the Antipodes Avocado Pear Nourishing Night Cream. It leaves my skin feeling soft, smooth and hydrated. A little bit goes a long way. I use it every second night as I also use the Alpha H Liquid Gold which is used on alternate nights. I go through lip balm like a crazy person, so the 40% off sale is the perfect opportunity to stock up. 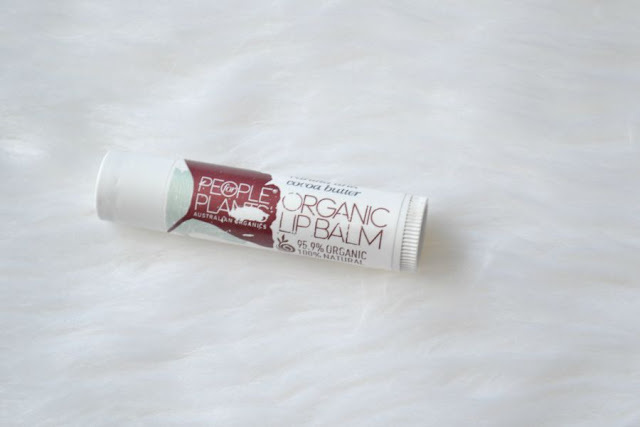 I really love the People For Plants Organic Lip Balm. They have 6 flavours and I've purchased 3 different ones. I've really liked all 3. Some other lip products that are great are the Nuxe Reve De Miel Ultra-Nourishing Lip Balm which is a great overnight lip balm (it has a gritty texture so it's not a good one to wear under lipstick). Lanolips have some wonderful lip balms as well as their Lemonaid Lip Aid which is a glossy balm that helps exfoliate your lips gentle. Nivea and Burts Bees also have a great range of different flavours and finishes (matte, tinted or shimmery). When it comes to body products I love the Nivea In Shower Body Conditioner. I've bought so many bottles of it over the last year or two. Another great body product is the PureTAN Pure Moisture Coconut Body Creme. It's normally $27.99, so getting it at 40% off makes it so much more economical since I go through it quite quickly. Check out what I bought at the last 40% off sale here. 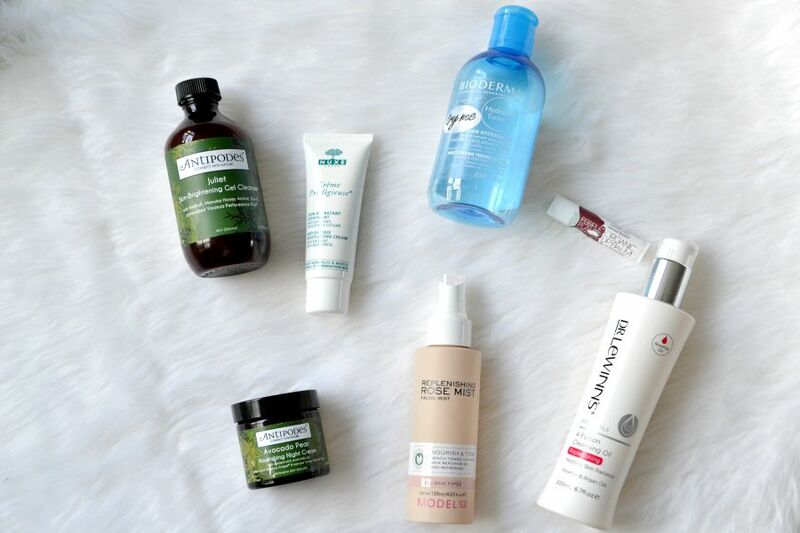 Because I only have 1 face and limited recommendations, I asked some of my fellow Adelaide beauty bloggers what their top 3 skincare picks are. Are you going to be picking up anything online or instore? I feel like i only brought home a tonne of skincare not that long ago form Priceline ahaha. I won't go crazy with the sale but I have just finished both my day and night moisturisers. I'm thinking something from Trilogy and something else. Depending what's left when I get there will determine what I will buy haha. I always find that once I get there I end up with about 8 extra products that weren't on my list! I know the feeling. I think because they only do the skincare sale twice a year, you feel like you should stock up! Great post! I also love the Dr Lewinns' 4 oil cleanser. I won't be buying anything this sale because I picked up what I needed during the last skincare promo, but I am tempted with the Antipodes moisturiser - everyone mentions it! The oil cleanser is awesome!!! And the Antipodes moisturiser is amazing. I'm not a huge fan of their day cream but LOVE the night cream. I do love Burt's Bees! I love their lip products and their body products. The smell so good!